Ideal for windows, patio doors and creating more space! Our Panel blinds truly are an elegant and versatile blind that were designed with the larger window and patio doors in mind. 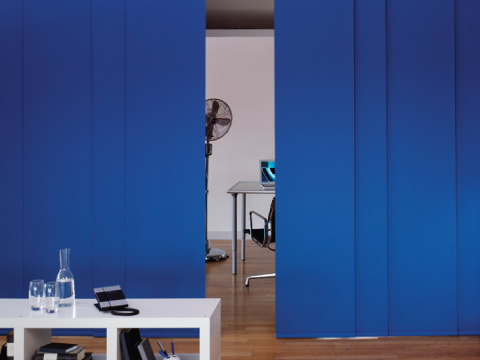 The blind is made up of large panels of fabric which can be stored one behind the other when opened and have the option of bunching left, right or meeting in the middle. They are hung from a bracket and can be easily taken down for cleaning and repositioning. 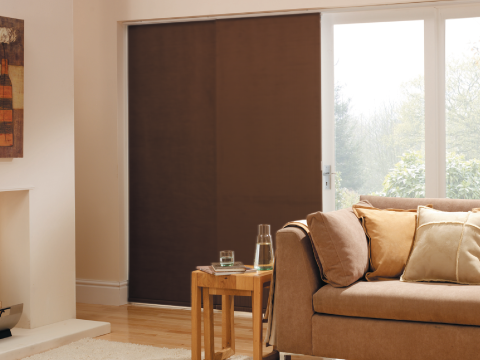 Panel blinds are operated by either a wand or cord for flexibility and you can choose from a great range of colours and fabrics. Our Panel blinds are tailor made on site and made to measure to meet our customer's exact requirements. Our room dividing panel blinds are a great way to create more space without having to move house! Panel blinds are versatile, inventive and can be placed just about anywhere as they stack one behind each other when open. The fabric can be controlled using a wand or cord for maximum flexibility. Patio doors can be tricky when it comes to window blinds, which is why our Panel blinds are so popular. You can layer your fabric to one side or meet in the middle depending on your design. 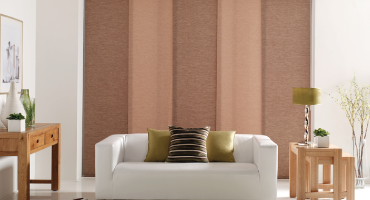 The fabric panel widths are made to measure to suit your window size and operating needs. 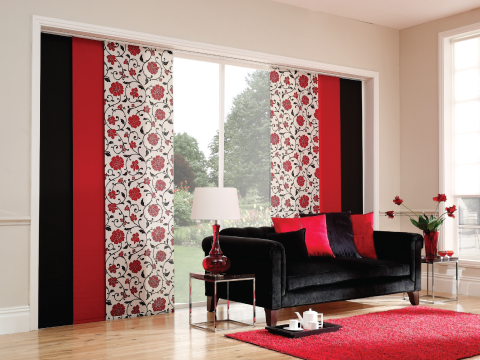 At North Notts Blinds we have a wide choice of Window panel blinds in many colours and patterns for you to choose from. Our panel blinds are manufactured to a high standard right here in the UK and are custom made to meet our customers requirements.